Today, Leica Geosystems Agriculture has released the support for the Ethernet port for the Leica GeoAce. Currently the RTK base station utilizes SIM card data for network coverage. With the additional support for an Ethernet port the base station has the option to connect directly to an Internet modem where mobile coverage may not be optimal. 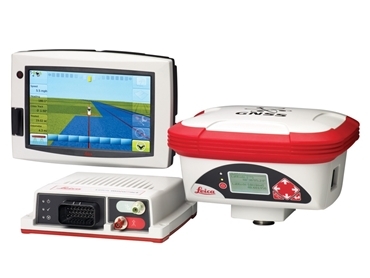 In August, Leica Geosystems Agriculture released the new generation RTK base station. The preliminary release supports; open formats for further cross compatibility, the ability to import and export data for reference positions and configurations, and provides access to Leica Virtual Wrench™ the web based remote service and support tool. “After the initial release of the GeoAce, we had feedback from customers requiring support for an Ethernet port to receive a more reliable Internet connection. Solid mobile coverage in the field is very important to our customers and we are pleased we can offer this addition,” said Derek Walsh, General Manager Australia, Leica Geosystems Agriculture.